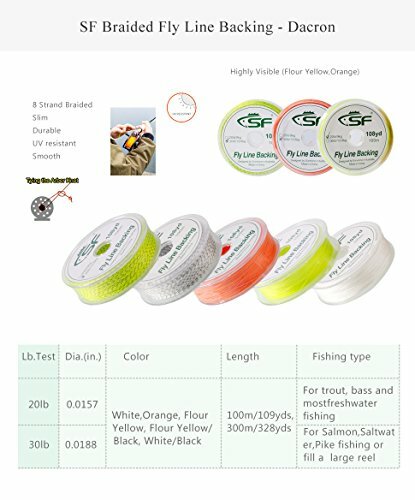 Categories: Fishing Gear, Fishing Line, Fly Fishing, Fly Line. 1.SF braided fly line backing at a price that makes it terrific value. This is proper hollow braid polyester backing from SF and is available in White,Orange, or high visibilty Yellow. 2.8 Strand Hollow Braided Backing Line.Made from rot proof Dacron / Polyester. 3.Available in 20lb and 30lb breaking strains. 4.20 lb test for trout, bass, and most freshwater fishing.30lb is good for Salmon / Saltwater / Pike fishing or where the extra bulk is needed to help fill a large reel. 5.Backing line has a fairly simple task to do; sit there on the reel so that when you catch a fish or start casting liong distance you don’t need to worry about the short fly line running out. This is good quality, braided backing. 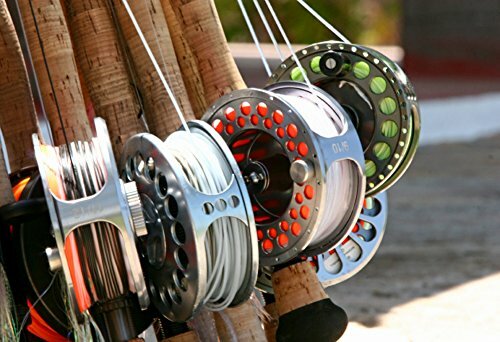 Being made from Polyester (Dacron) means it is slim, rot proof and UV resistant so you can put plenty on your reel without overfilling it and then not worry about it.Braided backing is so much better than twisted. This backing line is the perfect complement to all fly lines. SF braided fly line backing at a price that makes it terrific value. This is proper hollow braid polyester backing from SF and is available in White,Orange, or high visibilty Yellow.
? 20 lb. test for trout, bass, and most freshwater fishing ? 30lb is good for Salmon / Saltwater / Pike fishing or where the extra bulk is needed to help fill a large reel. Backing line has a fairly simple task to do; sit there on the reel so that when you catch a fish or start casting liong distance you don’t need to worry about the short fly line running out. This is good quality, braided backing. 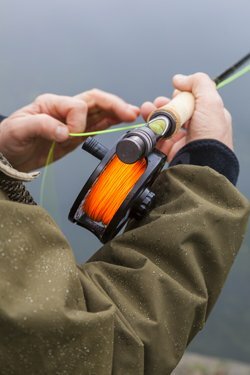 Being made from Polyester (Dacron) means it is slim, rot proof and UV resistant so you can put plenty on your reel without overfilling it and then not worry about it. Braided backing is so much better than twisted. 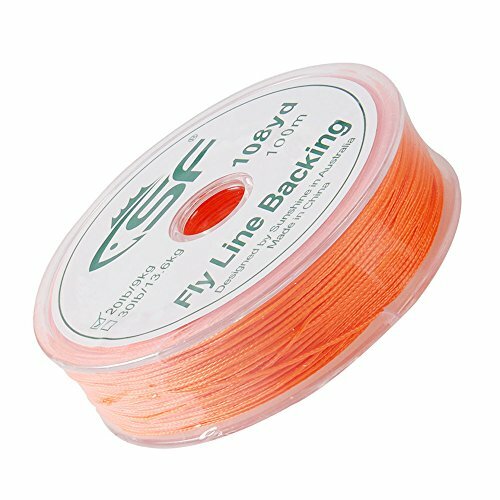 This backing line is the perfect complement to all fly lines.